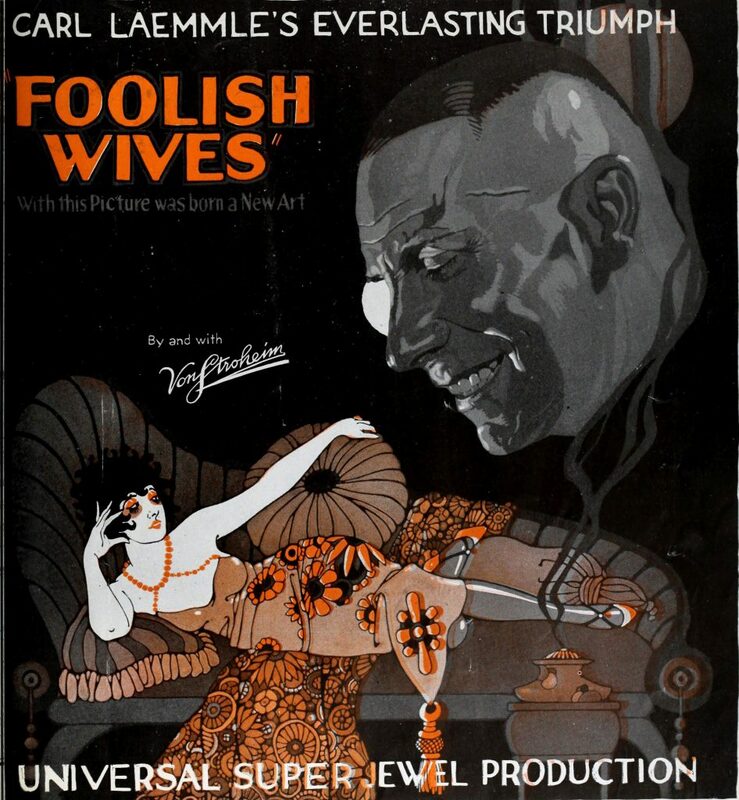 Foolish Wives is a 1922 American silent drama film produced and distributed by Universal Pictures under their Super-Jewel banner and written and directed by Erich von Stroheim. The drama features von Stroheim, Rudolph Christians, Miss DuPont, Maude George, and others. When released in 1922, the film was the most expensive film made at that time, and billed by Universal Studios as the “first million-dollar movie” to come out of Hollywood. Originally, von Stroheim intended the film to run anywhere between 6 and 10 hours, and be shown over two evenings, but Universal executives opposed this idea. The studio bosses cut the film drastically before the release date. The producers had censorship problems with the New York Motion Picture Censorship Commission. Not only did the Commission order specific cuts in the film, but they requested that all advertising be submitted for their review. Carl Laemmle publicly denied that they complied with any specific request from the Commission; instead, he said the cuts were made due to the film’s excessive length. In Pennsylvania, the State Board of Censors banned the film. Censors also banned the picture in Ohio.